Our range of products include slip ring. In general Power Slip Ring are used to transmit electrical power, signals or data, pneumatic and hydraulic, from a stationary to a rotating platform. In the signal transmission occurs by means of a contact-less inductive coupling. This ensures the data channels without maintenance requirements. The construction is modular and offers the greatest flexibility in a variety of applications. • Modular construction system, load and signal/data channels can be combined as desired. • Rugged GFPC housing (glass-reinforced polycarbonate) for industrial usage. 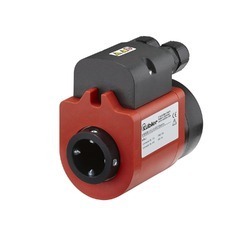 •	Signal/data channels maintenance-free by means of inductive coupling. Looking for Power Slip Ring ?